Spiders are already pretty terrifying to most people, but what makes it even worse is when you happen to encounter one of these guys at a time when you are at one of your most vulnerable and preoccupied states: on the dunny. Maybe the unpleasant experience of sitting down to do your business, then looking up to seeing a huge spider dangling above you is laughing matter in retrospect, but in that moment, it’s go time! As it is with most cases in dealing with spiders, the first thing that should be done to assess the situation is to identify the type of spider that you are dealing with and the level of threat it provides. Most spiders are fairly harmless, but some can be quite a serious threat if handled improperly. Here are the three spiders that are most commonly spotted hanging around the dunny in Dubbo, and how to handle the situation should it come up. These guys are fairly easy to identify, as they are some of the biggest spiders in existence. They have a large, crab-like leg span that enables them to move quickly in the side to side movements and jump proportionately uncanny distances. 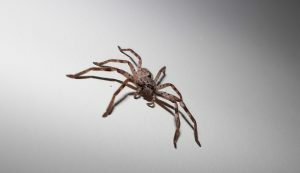 The huntsman spider earned its name for its ability to hunt outside of a web. It’s sort of like the rugby player of the spider world, in that it tackles it’s prey full on, rather than waiting for it to be trapped in a web. They eat mostly insects but have been known to feed on larger prey such as lizards. Thankfully, the huntsman spider’s venom is non-lethal to humans. While a bite will likely hurt quite a bit and cause some symptoms like nausea or swelling of the tissues around the bitten area, the bite will heal on its own without antivenom in most cases. These spiders should be captured and removed when found, although take great caution if the spider in sight is a mother protecting it’s eggs, as they will be extremely aggressive towards anything it sees as a threat. 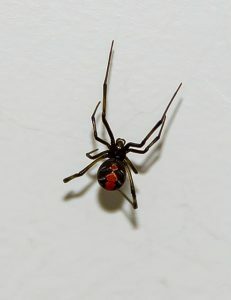 The redback spider is named for its appearance. It is black in color with a very distinctive red mark on it’s back. These spiders are not as big as the huntsman spiders, but encountering one is a far more serious matter, as it’s bite can be very dangerous, even lethal if left untreated. 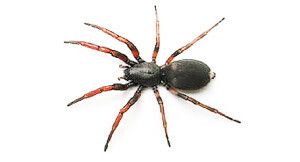 The redback spider accounts for most of the serious spider bite cases in Australia, as it’s habitat is commonly in places that are largely populated by humans. They like to find their way into things like boots, gloves or socks, which has an obvious outcome to an unknowing person who goes to put one of these items on. If you should happen to be bitten by one of these bad boys, make it a serious point to get medical attention asap. If possible, capture the spider ang bring it to the hospital so that the doctor can be sure about which antivenom would be best suited for the scenario. This spider is also named for its physical characteristics, which in this case is the tip of it’s lower abdomen which looks like a tiny white tail. 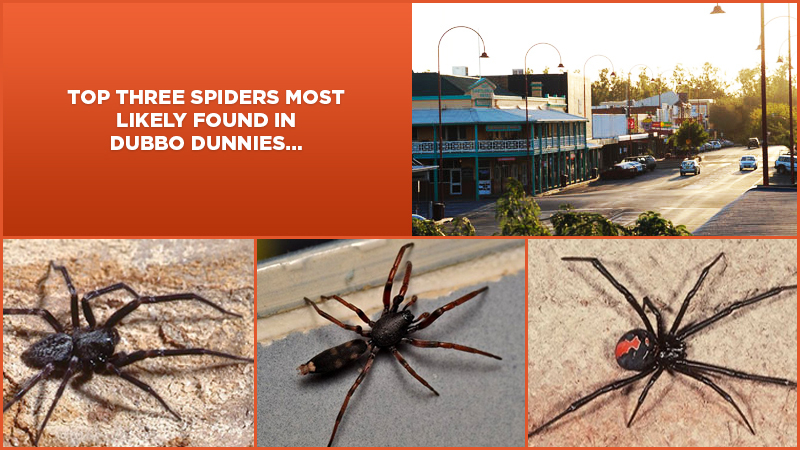 These spiders are also very common in Dubbo. Despite a lot of media hype and sensationalism, this spider is actually rather harmless. Its bite can still be painful, but shouldn’t cause any serious problems.